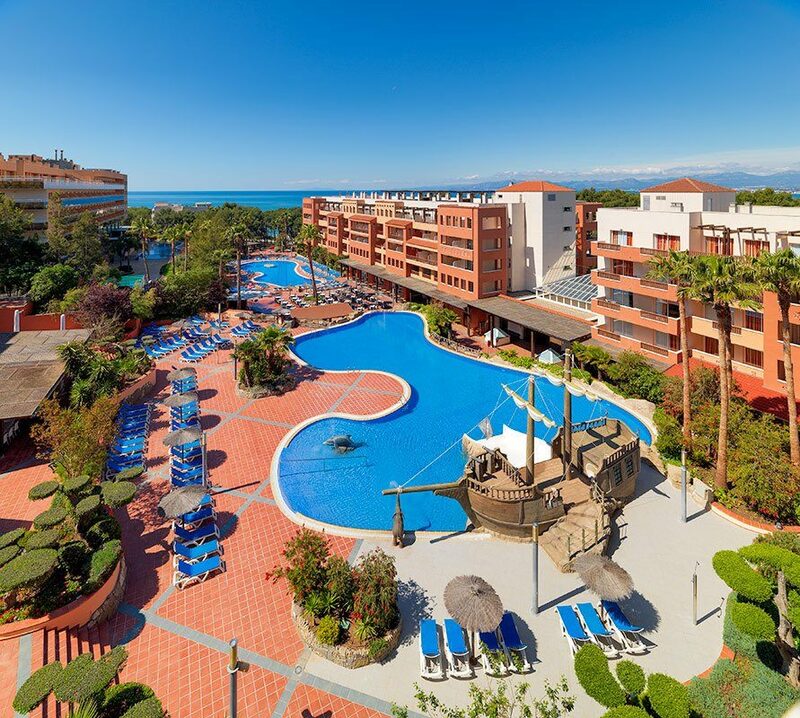 Found just a few footsteps from a golden, sandy beach in Salou, H10 Mediterranean Village offers a touch of everything to create a memorable holiday for the entire family. 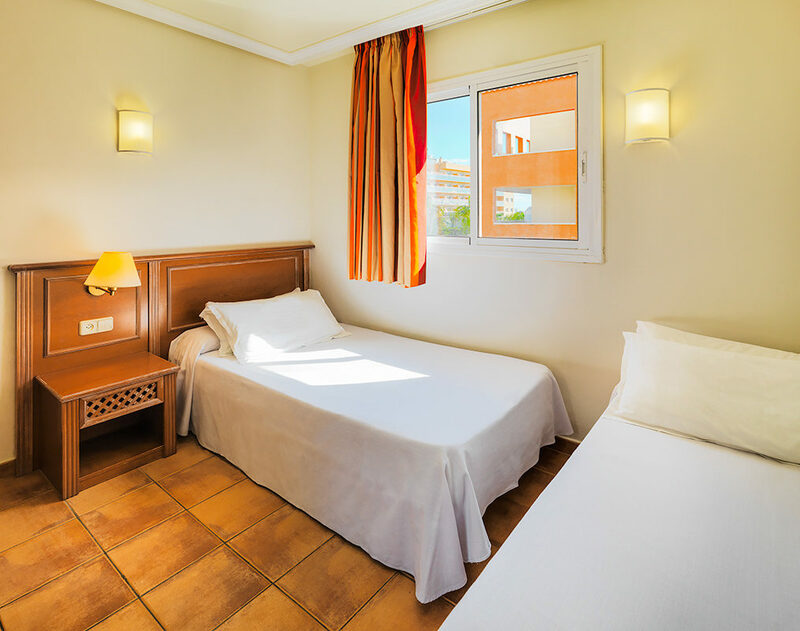 The three big highlights of this hotel include: delicious and varied catering; modern and spacious accommodation; and fun mix of activities for kids and adults alike. Your choice of restaurants offers buffets of international and local cuisines - perfect for enjoying a different meal each day. Fresh fish and meat dishes are served beside the pool for lunchtime treats, while breakfasts and dinners are best enjoyed at the aromatic Les Oliveres Restaurant. Kids even have their own section here too. Take your pick from a selection of luxurious guest rooms and apartments with stunning views to enjoy from your furnished balcony. Rooms here have all the mod cons you need for a comfortable stay, plus the option of having your own kitchen, lounge and terrace. Guests can join in lots of games and activities, as well as sit back and watch dazzling live entertainment in the evening. Children and teenagers are kept busy with their own mini clubs and swimming pool - featuring a fun pirate ship with slides. If you're looking for a holiday filled with poolside tanning, drinking in the sun, fun for the kids, and tasty meals at your fingertips, try H10 Mediterranean Village. H10 Mediterranean Village facilities include: two restaurants, snack bar, sports pub, lobby bar, crepes and hot dogs cafe, two swimming pools, children's pool, pirate ship water feature, water slides, Jacuzzi, solarium, sunbeds, and parasols. 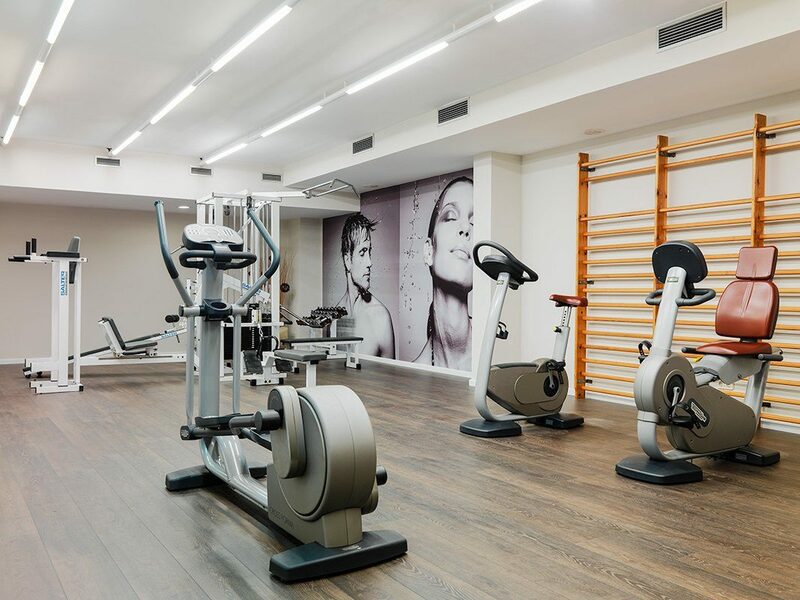 There's also a multi-sport court, gym, supermarket, Internet and Playstation corner, indoor pool, sauna, Turkish bath, self-service washing machines and tumble dryers, and free Wi-Fi (in the lobby). H10 Mediterranean Village has 199 rooms and 173 apartments. 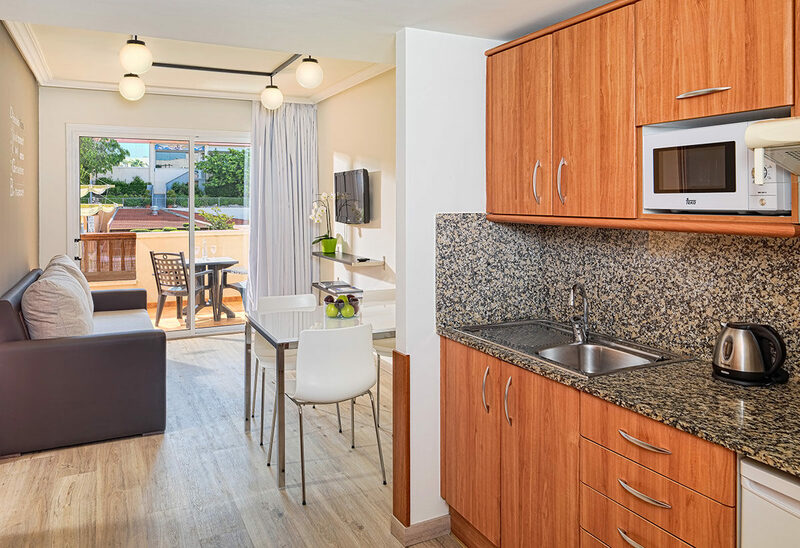 All include: satellite TV, fridge, safe, air-conditioning, hairdryer, and terrace or balcony. Junior Suites features: lounge, bathrobe and slippers, pool towels, and daily turndown service. Apartments include the above amenities plus a dining/living room (with sofa bed) and a kitchen (with fridge, microwave, dishes, pots and pans). You're sure to enjoy the wide variety of cuisines at H10 Mediterranean Village. Les Oliveres Restaurant serves buffets of local and international dishes for breakfast and dinner, with show cooking stands and a special children's section. La Masia Restaurant is the perfect place for a la carte lunches of fish and meat specialities beside the pool. 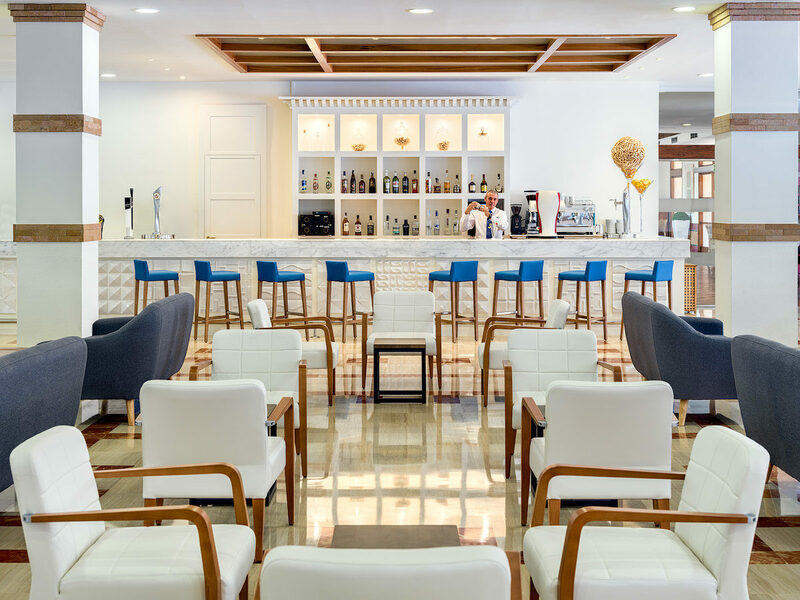 There's also La Terrassa Snack Bar and Crepes and Hot Dogs Corner to grab light bites and refreshments, while Lobby Bar serves a varied menu of drinks inside the hotel. Daisy Club hosts a range of games and activities for kids and teenagers. The hotel's entertainers also provide a mix of activities for adults, including: aqua gym, darts, billiards, table tennis, football, and water polo. Evening entertainment includes music and live shows. Clean, great selection of lovely food, spacious and well equipped room with excellent service, friendly and helpful staff. Very handy bus stop nearby with excellent local bus service got us into Salou, Cambrils and Barcelona. The usual niggles about no follow up for those guests reserving sun loungers and then not returning to them for hours and frustrating that not even water was provided at the evening meal - expected to pay for other drinks as half board but not water. Good range of evening entertainment and very enthusiastic Animation Team! The hotel does not have all its room refurbished and our first room was to get one of these. After asking if we could have a room like one advertised in both the brochure we got a room overlooking the pool. This was much more modern. The hotel is very noisy and the walls are thin. You can hear people from all sides. The staff are fabulous and will do anything to help. Food was lovely and a great choice. Not sure how a child's slush can cost the same price as a pint of San Miguel. Excellent all-round staff from reception to house keepers. Pool and pool area spotless, rooms cleaned every day, towels changed every other day and beds changed every other day. Entertainment team work hard day and night, something for everyone. Nice hotel shame about having to que for a sun bed and watching grown up adults running for them! Never seen anything like it! Was as good as before needs better menu though. it was nice and clean but it was more for children than adults which was never told to us. we went as a party of 3 adults.